This program meets Georgia Composite Medical Board Controlled Substances Prescribing CME Requirement. Target Audience This program is intended for prescribers licensed in the State of Georgia who maintain an active DEA certificate and prescribe controlled substances, except those holding a residency training permit. 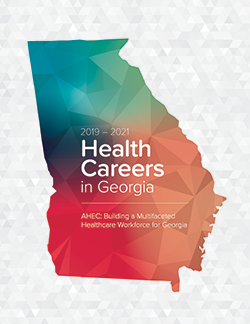 This activity has been planned and implemented in accordance with the accreditation requirements and policies of the Accreditation Council for Continuing Medical Education through the joint providership of Piedmont Athens Regional and the UGA College of Pharmacy. Piedmont Athens Regional is accredited by the Medical Association of Georgia to provide continuing medical education for physicians. Piedmont Athens Regional designates this online activity for a maximum of 3 AMA PRA Category 1 Credits™. Physicians should claim only the credit commensurate with the extent of their participation in the activity. This knowledge-based activity has been approved for 3 hours of continuing education credit. Credit will be awarded for viewing all presentations, participating in active learning questions, successfully completing the post-assessment with a score of 70% or higher, and submission of the activity evaluation. No partial credit will be given. All continuing pharmacy education credit awarded is reported to CPE Monitor® within 7 days of activity completion. The University of Georgia College of Pharmacy is accredited by the Accreditation Council for Pharmacy Education as a provider of continuing pharmacy education.